Simple breakfast and less variety. 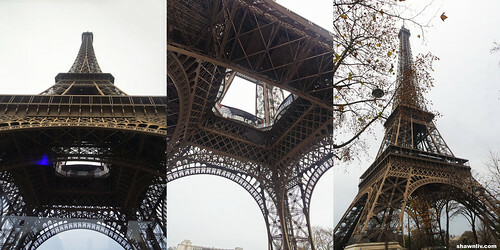 After breakfast, visit the Eiffel tower. The Eiffel Tower which was built to commemorate the 100th anniversary of the French Revolution, by engineer Gustav Eiffel, was originally only supposed to stay up for 20 years. But its use as an antennae saved it and today it is the most recognizable symbol of Paris. Before the Empire State Building was built in 1931 it was the tallest building in the world at 320 meters or over one thousand feet high. Originally the tower was only meant to last 20 years, and at the time many people in Paris wanted it torn down, but it was saved because its height (324 meters/1063 feet) made it extremely useful for science experiments, most notably in radio communications. Today, they would never dream of tearing down the Eiffel Tower, it attracts around 7 million visitors a year. 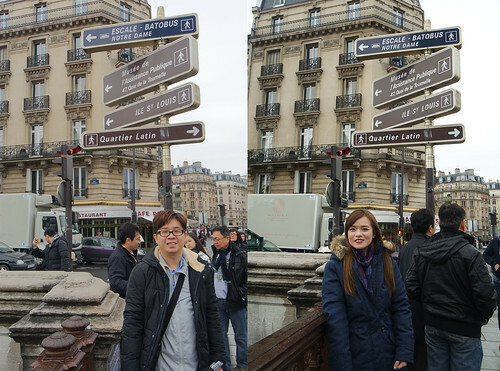 Next, visited Arc de Triomphe. The arch was commissioned by Napoleon in 1806 to commemorate his victories, but he was ousted before the arch was completed. In fact, it wasn’t completed until 1836 during the reign of Louis-Philippe. 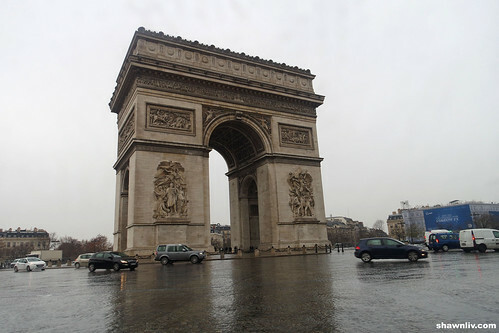 The Arc de Triomphe is engraved with names of generals who commanded French troops during Napoleon’s regime. Next stop, The Notre Dame Cathedral Paris. 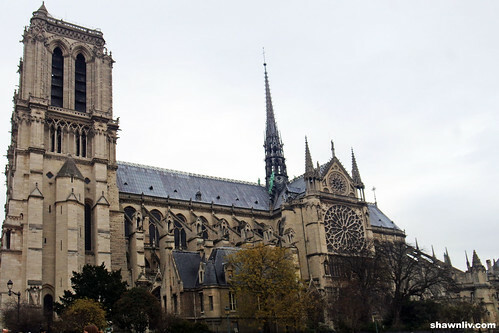 The Notre Dame Cathedral Paris or Notre Dame de Paris (Meaning ‘Our Lady of Paris’ in French) is a Gothic cathedral located in the fourth arrondissement of Paris, France, It has its main entrance to the west. The island is on the eastern half of the Île de la Cité. The Notre Dame Cathedral with its sculptures and stained glass windows show the heavy influence of naturalism, unlike that of earlier Romanesque architecture. It was one of the very first Gothic cathedrals, and its construction took place throughout the Gothic period. Next, the Roue de Paris is a 60-metre (200 ft) tall transportable Ferris wheel, originally installed on the Place de la Concorde in Paris, France, for the 2000 millennium celebrations. It left Paris in 2002 and has since then seen service at numerous other locations around the world. Lunch at Pedra Alta, seafood in Paris. Address : 6, Avenue Du Général Leclerc 92100 Boulogne, Paris. 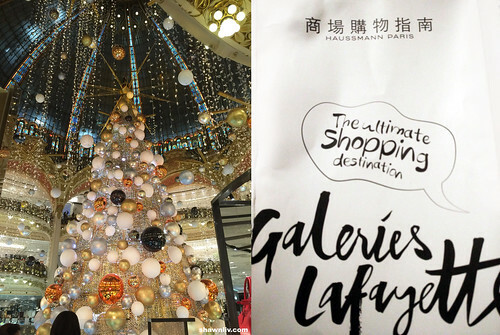 After lunch, shopping at The Galeries Lafayette. The Galeries Lafayette is an upmarket French department store chain. Its flagship store is on Boulevard Haussmann in the 9th arrondissement of Paris. After a long day of shopping, dinner at a Chinese restaurant. After dinner, back to hotel and end of our day 11. 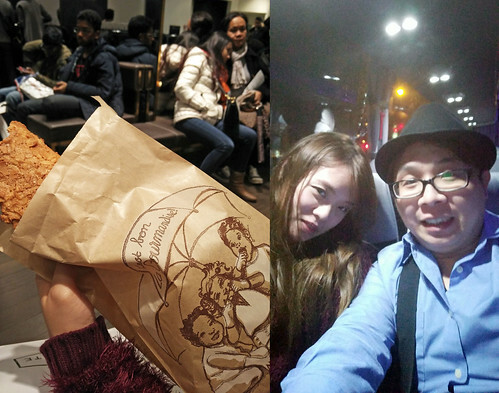 Wakeup early in the morning and rush to the Charles de Gaulle Airport, Paris. Paris Charles de Gaulle Airport is one of the world’s principal aviation centres, as well as France’s largest international airport. It is named after Charles de Gaulle (1890–1970), leader of the Free French Forces and founder of the French Fifth Republic, as well as the President of France from 1959 to 1969. After claim the tax refund, proceed to immigration and security check. Depart to Singapore (Singapore Airline). Roughly about 12 hours, we’ve finally reached Singapore at 6am.